NIGHTLOCK PLUS - locks away wetness, even over night. 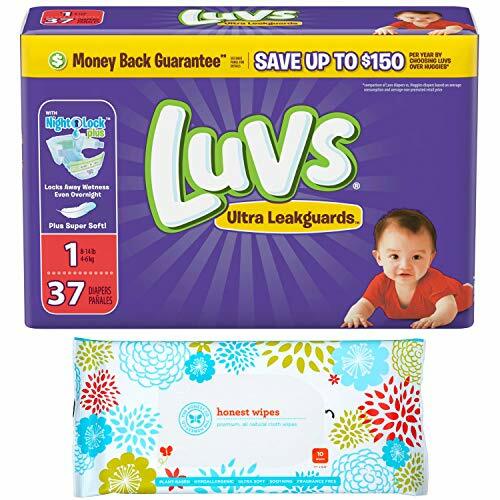 Luvs diapers protect baby from leaks.  WETNESS INDICATOR - Always know when your baby needs a diaper change with Luvs. Luvs area also super soft on baby's skin for a comfortable feel.  3 ABSORPTION AREAS - Luvs diapers also have large, refastenable stretch tabs and a wide fastening area to help make diaper changing time easier too. ‍ LEAKGUARD CORE - Keeps baby's skin dry with triple leak guard. Wide fastening area makes changing a breeze and great-fitting contour shape flexes to fit your baby.